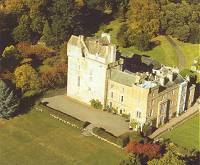 Lennoxlove House has been in existence since the thirteenth Century, and so of course has a long and interesting history. There are guided tours available three days a week, from Easter Monday until the end of October. Guides will give you a tour which includes hidden cludgies (bathrooms), the bed Mary Queen of Scots slept in, and the dungeons where prisoners where kept! The house is open for Guided Tours only on Wednesday, Thursday and Sunday 1.30-3.30pm. Tours can be arranged outside these times with sufficient notice (1 week). Take the A1 to Haddington.Pass through Haddington and out on the B6369, signposted to Gifford, afterhalf a mile Lennoxlove main drive entrance is on the right.